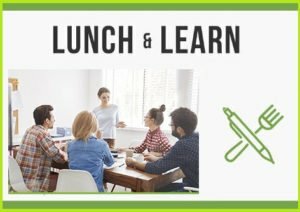 Become a Business Member and receive a free lunch & learn! Let Keep Rockland Beautiful help you create a more sustainable and socially responsible business! Keep Rockland Beautiful will provide a FREE lunch & learn workshop for any company that signs up to become a Business Member by August 1st. In a Keep Rockland Beautiful lunch & learn, we’ll come to you to provide a fascinating glimpse into Rockland’s unique local environment. We’ll help your employees take simple steps to protect our natural resources. Together, we can create more sustainable communities at work and at home! Business Members are added to our cleaner, greener directory to help connect thousands of volunteers, members, and supporters with your goods and services. You’ll also receive FREE access to our Rockland Underground Tours for the entire staff, and a special logo for your marketing & communication strategies!